80GB PlayStation 3 to get price cut in US? Europeans to be left out in the cold again? The 80GB PlayStation 3 console could be set for a $100 (£50) price cut in North America. The speculation comes from industry analyst Michael Pachter, who says a price cut will arrive in time for Christmas this year. 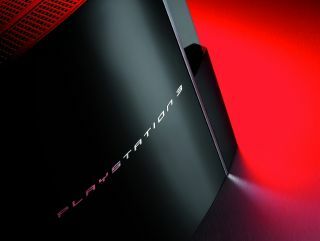 "We note that Sony recently acknowledged that it will no longer produce its 60GB PS3, and we expect the price of the 80GB PS3 to be reduced to $499 before the holidays, maintaining a premium SKU at that price point," Pachter of Wedbush Morgan has stated. According to our sister site CVG, he also said that Sony will probably "again be in a position to cut the price of the PS3 in early 2008 when blockbuster games Grand Theft Auto IV and PS3 exclusive Metal Gear Solid 4 will launch." The 80GB PS3 has not launched in Europe yet, so no word on whether the 60GB version will get a cut over here.